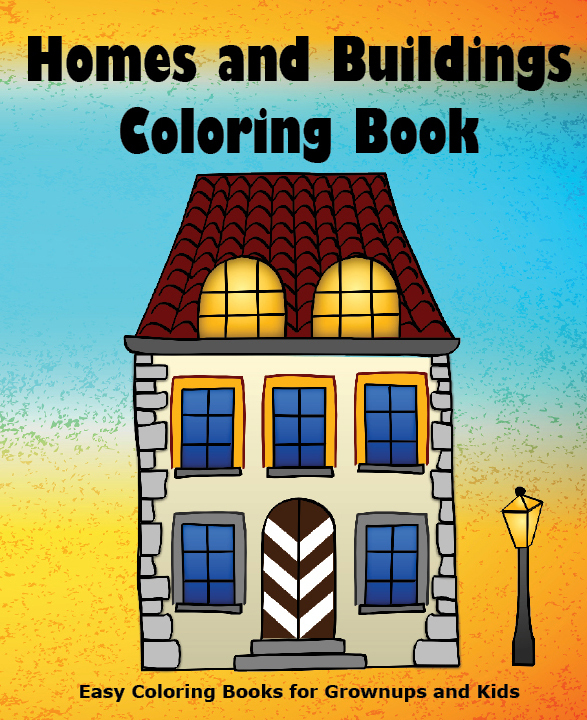 Coloring books for both adults and children. Videos show sample pages. Each drawing is on one side of the page only, so if you wish to cut them out and save them, you can! 21 Adorable Animals to Color. 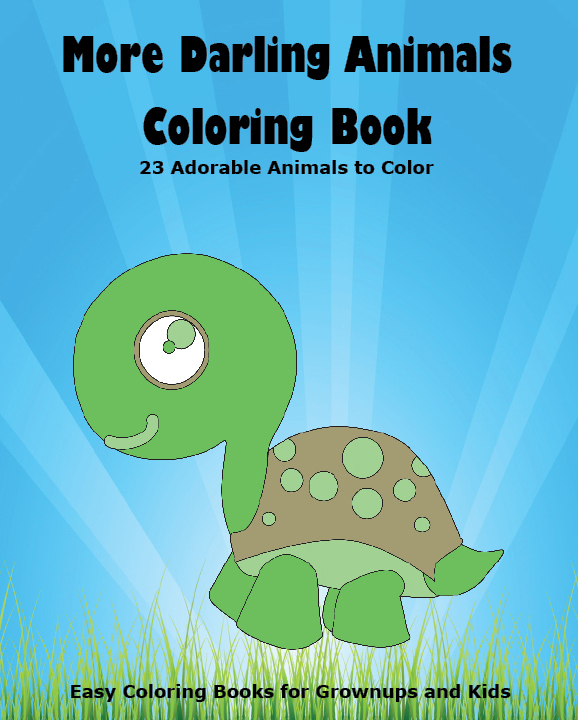 Have fun by coloring the adorable animals in this coloring book. 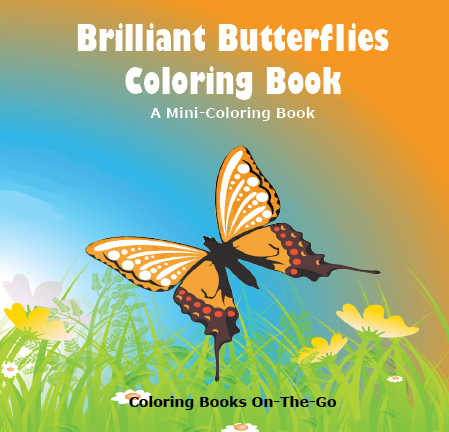 There are a variety of animals that can appeal to both adults and kids who want easy drawings to color. Size: 8x10 inches. 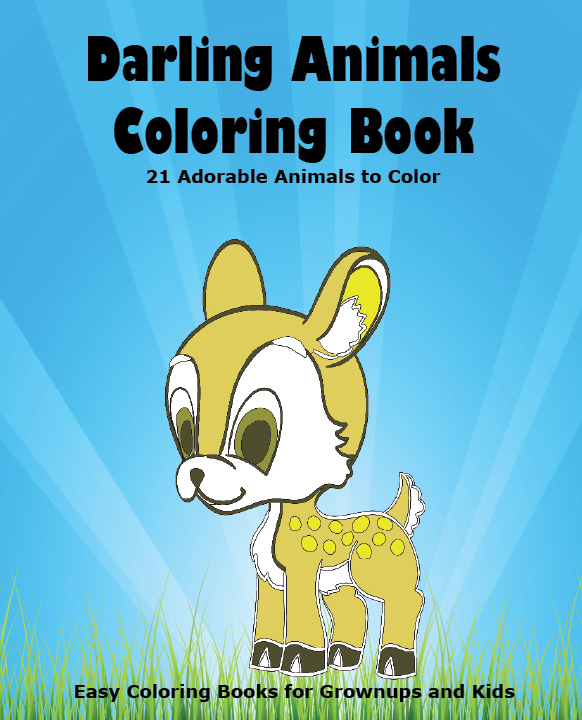 More darling animals to color: 23 animals in all. There are a variety of animals that can appeal to both kids and adults who want easy drawings to color. Size: 8x10 inches. 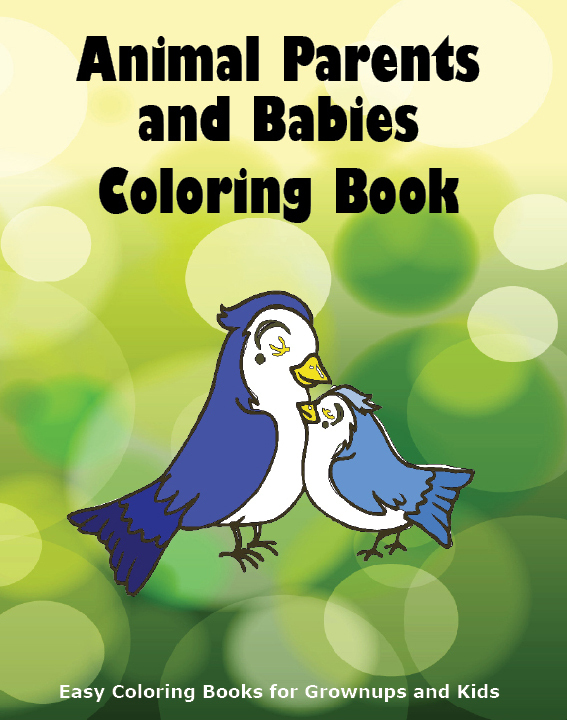 Each page has an animal parent and baby animal on it to color: 25 animal pairs in all. 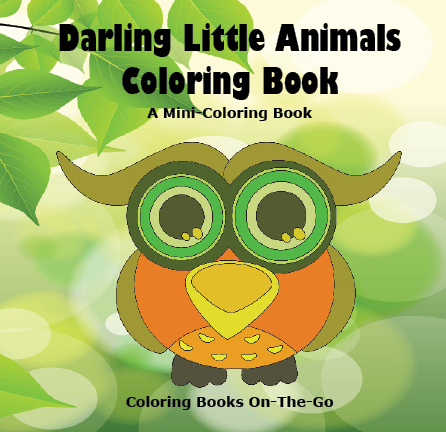 There are a variety of animals that can appeal to both adults and kids who want easy drawings to color. Size: 8x10 inches. 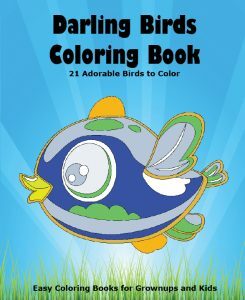 Have fun by coloring the 21 adorable birds in this book. There are a variety of birds that can appeal to both adults and kids. Size: 8x10 inches. A mini coloring book. The 6x6-inch size makes it perfect to carry in a purse or a large pocket, for coloring on the go. There are 25 baby animals to color that can appeal to kids or adults who prefer less complicated designs. Size: 6x6 inches. A mini coloring book. The 6x6-inch size makes it perfect to carry in a purse or a large pocket, for coloring on the go. The 26 designs inside include a wide variety of butterflies that can appeal to kids or adults...something for everyone!. Size: 6x6 inches. This mini coloring book has 26 robots to color. Size: 6 x 6 inches. 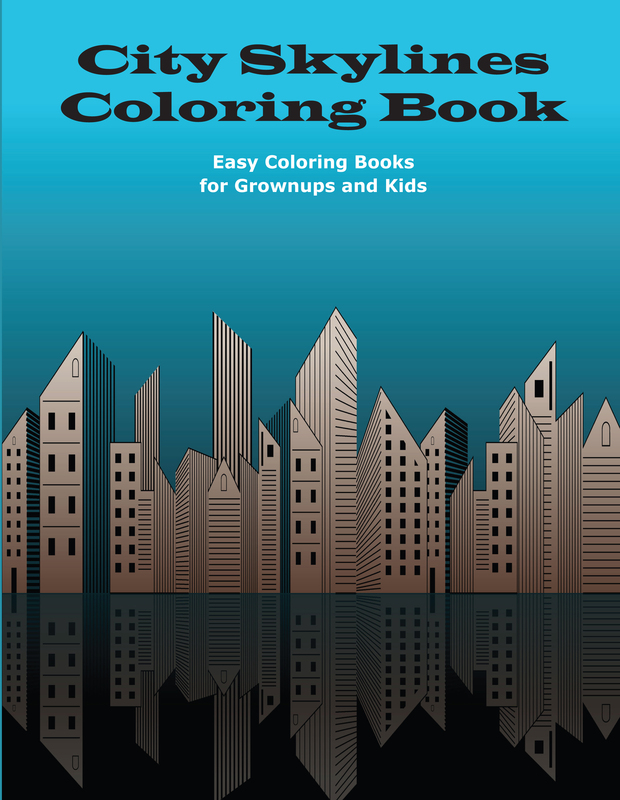 This coloring book is for both kids and grownups who want easy drawings to color. Most of the 25 flowers are simple, and can appeal to adults or kids. Size: 8.5 x 8.5 inches. 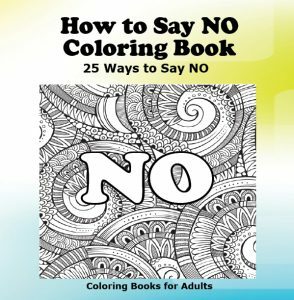 This coloring book has 25 different ways to say “no,” each with a different background design. Some of the ways to say NO include: No, Absolutely Not, By No Means, Can't, Forget It, Never, Nope, Not a Chance, No Thanks, Not Happening, Nothing Doing, Not in a Million Years, Not Now, Not Possible, Not This Time, Not Today, No Way, Of Course Not, Out of the Question, etc. Size: 8.5 x 8.5 inches. 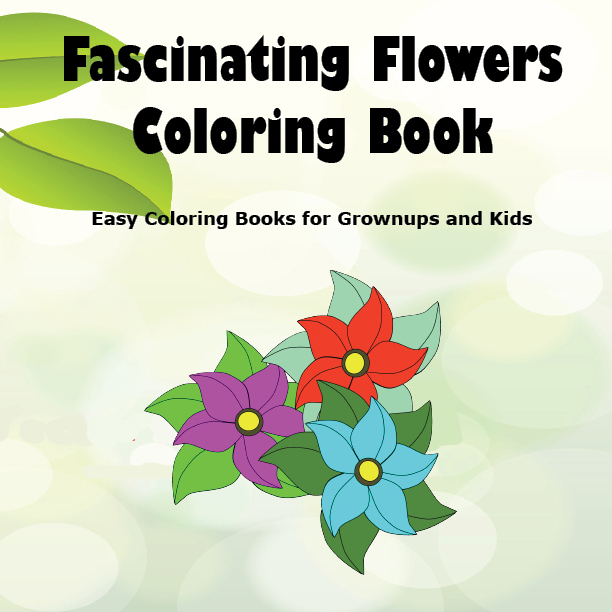 This coloring book is for both children and grownups who want easy drawings to color. Most of the drawings are simple, though some are more complex. The 23 designs include a wide variety of buildings...something for everyone! Size: 8x10 inches. These 25 designs are generic cityscapes for both children and adults. Most of the drawings are simple, though some are more complex. Feel free to color entire sections or individual buildings. Size: 8.5x11 inches. 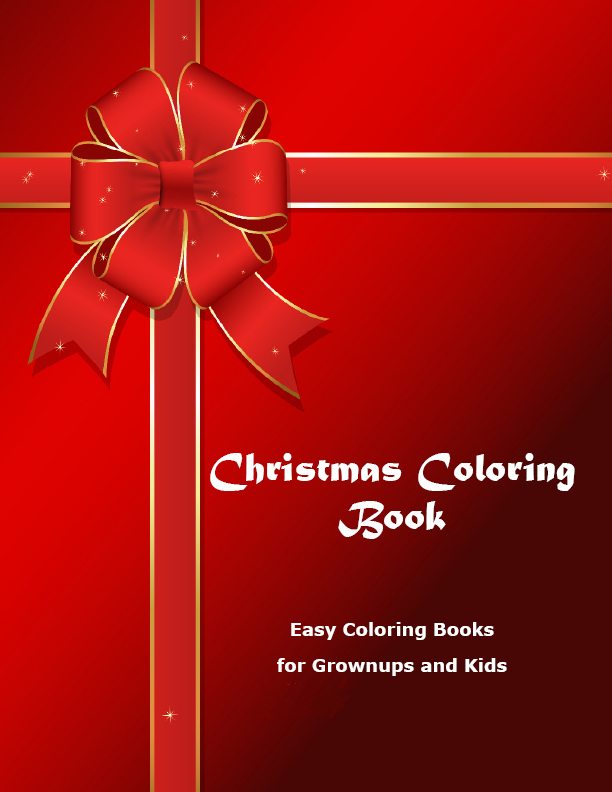 This coloring book is for both kids and grownups who want easy Christmas drawings to color. Most of the 26 drawings are simple, and you can add your own designs in the blank areas if you wish. Size: 8.5 x 11 inches.